India is a wonderful country flourishing with culture, great food, and games. Eastern Promises is a brand new game fresh to Wizard Slots focussing on just this, India, and all its beautiful attributes. 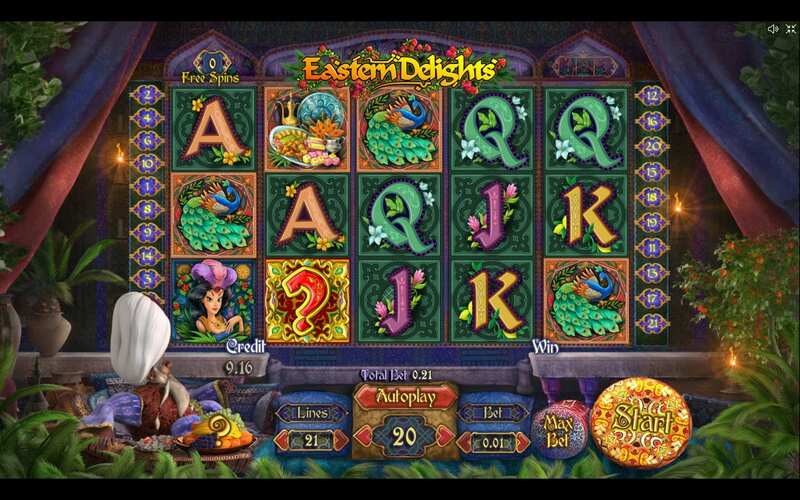 Eastern Delights is a gorgeous looking 5 reel video slot game that exists in the main hall of the sultan’s warm and inviting temple and spins through reels of flowery letters that scatter across the game board to reveal an absolutely beautiful gushing fountain. 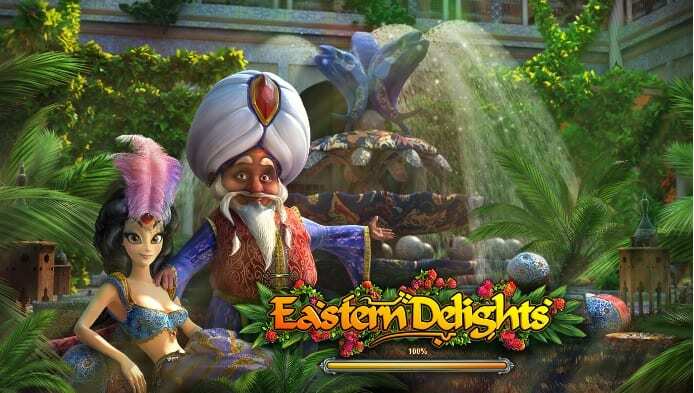 Eastern Delight is a simply glorious looking game that gives you the ability to win an enormity of free spins and cash prizes. If you are interested in other games, view online slots at this link. Playson has become a leading casino games developer since it was founded in 2012. This fresh-faced company has brought a boundless sense of technological innovation and dynamic creativity to all their games. For more info click here. With over 30 high definition spin slot games out already and many more in the pipeline, it is easy to see how this relatively new company has been able to make such a strong impression on this competitive industry. If you love the mysteries of Asia you will be delighted with the theme like this one as it transports you to the courts of Middle Eastern Sheiks offering you a glimpse of a world filled with unfathomable luxury and lavish lifestyles that most of us couldn’t even imagine. When you log on to your game, you will be greeted by a friendly Sheikh, with his adorable old-age antics he will guide you through a world of eastern sweets, Persian carpets, mysterious lamps, juicy fruits and so much more. Like other best video slots in the market, Eastern Delights is a penny slot game at its core, you have your classic 5 reels with a complimentary 21 paylines. As you would expect, you can start your wager at 1p per payline. That leaves 21 pence that can be put at stake. You can adjust your bet from 1p up to £5, which means you could gamble up to a maximum of £105 on the Eastern Delight reels. Picture the Middle East and Arabia, you imagine sand dunes and eternal parched landscapes, right? Not in Eastern Delights, Playson has dashed that concept of eternal thirst by allowing you to make it rain coins! This online slot game is packed with a number of features and symbols, some standard ones that you would expect and some that are a little extra special. You have some fascinating symbols which tie in with the game’s theme, the lamps, sweets, peacocks and fruits all of which have their own monetary value. The Wild symbol in this online slot game is the Question Mark, it’s studded with a vibrant red ruby and gilded in precious gold. The Wild will substitute any other symbol except the Lamp and the Scatter symbols. The beautiful Arabian Princess is your Scatter. 3 or more of these symbols on your reels will trigger a Free Spins round. You receive by default 4 Free Spins, but you can keep triggering more Free Spins in this feature. Your maximum Free Spins is set up to 50. As you would expect from a Playson game, you also have a drop symbol. The Lamp of the Djinn acts as the drop of the slot. When it appears it will destroy all symbols in every row that it appears on, creating enormous possibilities for compounded payouts. In addition to this feature, if the Drop symbol appears twice on a winning payline, this will also trigger more Free Spins further increasing your chances of making it truly shower you with big wins. When you play this online slot game you will truly feel transported to all the delights that the East has to offer. It offers impressive graphics and a thematic soundtrack, all of which will come as no surprise if you have played a Playson game before. What makes this online slot game extra special is the Drop symbol and the complex free spins rounds. You will never experience a dull moment in this superbly high-quality game.